We live in a world filled with disaster, strife, injustice, hate, and greed. I decided to pursue a career in the arts because I want to illuminate the other side of the coin; the side that glistens with hope, love, miracles, kindness, and novelty. I have conceded that one cannot exist without the other. The moments that dishearten the human race are often accompanied by a show of baffling and awe-inspiring people who rise to meet the disaster and aim to repair it. 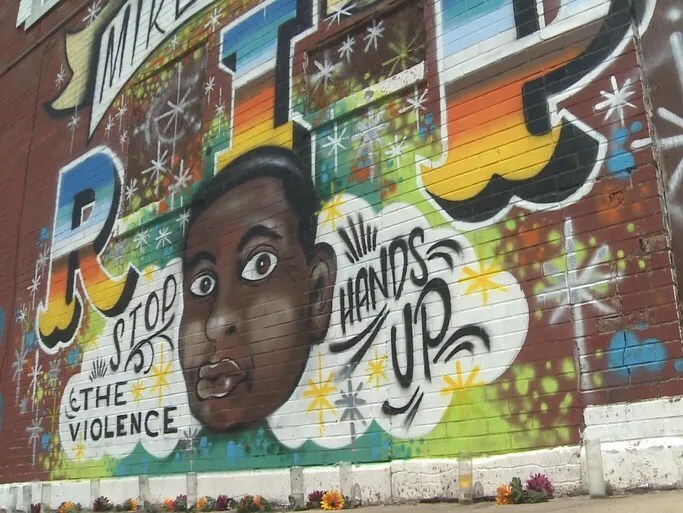 These feats of human strength and resilience have been present in Ferguson, Missouri over the past month- much of which has been articulated through art, which is one powerful vehicle for the resolution of grief and the revolution for change. An instant of this is featured in an article on HowlRound.com, in which a group of artists including Claudia Alick, Danny Bryck, Mica Cole, Rebecca Martinez, and Katy Rubin traveled to Missouri in order to join “The Ferguson Moment,” an artistic community created in order to respond to the death of Michael Brown. Each individual artist wrote a response to their experience and I found a common theme: the desire to fight the narrative of privileged outsiders swooping in to help the needy and then disappearing back to their own charmed lives where they can go to Target without wading through SWAT teams and the National Guard. Bryck recounts being told to talk less and listen more in a room filled with local artists who had lived through the ordeal in real time. That struck me the most. He writes, “I left for St. Louis thinking I was going to help. But I realized that I went to learn.” I think it takes a lot of courage to admit that, and that’s the most important element in this situation– having the tools and resources to help a group of people is fantastic and of course we should take action– but the human race won’t begin to heal unless we acknowledge how little we understand about other people’s pain.